Estonia is the last European Union member state to introduce bioadditives to motor fuels, with the first changes entering into force in May of last year, bringing a mandatory 3.1 percent biofuel content in motor fuel. Monday will see the next step after which gasoline 95 must contain 6.4 percent of biofuel or ethanol and diesel have 7 percent of biocomponent FAME. Fuel on sale will not be replaced overnight as gas stations have been given a month to make the transition. CEO of fuel seller Alexela Alan Vaht explained that while fuel that comes from excise warehouses must have a higher bioadditive content from Monday, gas station stockpiles mean it will take time before fuel on sale corresponds fully to the new requirements. The price of fuel will depend first and foremost on the world market prices of ethanol and gasoline. For example, the price of bioethanol did not have an impact on the price of fuel last year, while biofuels tend to be more expensive than fossil fuels in general. Vaht wrote in his blog that he believes the new regulation will cause the price of a liter of gasoline to go up by several cents. 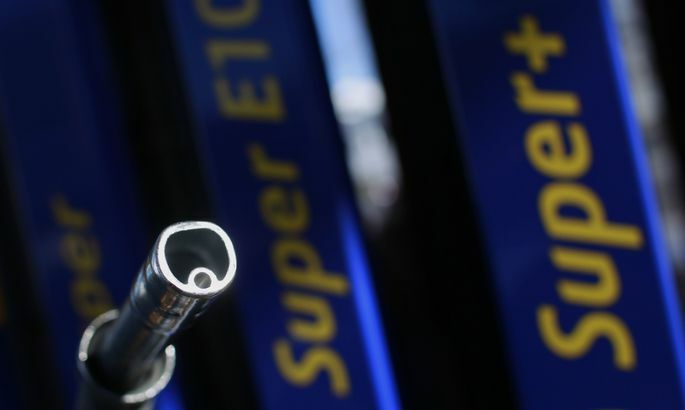 “More expensive ethanol will hike the price of a liter of fuel by another 1.1 cents. Secondly, the energy content of a liter of fuel will fall by 3.2 percent that will translate into higher fuel consumption. The hidden cost of decreased fuel economy will amount to 4.3 cents per liter. This means that if you pay €1.34 for a liter of gasoline at the gas station, it will actually cost you €1.382,” the CEO explained. The Ministry of Economic Affairs and Communications (MKM) disagrees. When preparing the bioadditives bill, MKM calculated that the addition of biofuel could make gasoline more expensive by up to 0.5 cents per liter and diesel fuel by up to 1.5 cents. “It needs to be emphasized that the prices of biofuels, gasoline and diesel fuel depend on the world market situation, which is why the obligation might not translate into price advance. In 2015, the price of ethanol was low enough for high-quality ethanol fuel mixture to cost less than regular gasoline,” the ministry pointed out. The regulation will not change the composition of gasoline 98. The latter fuel is not required to have a biocomponent and fuel sellers are slow to mix gasoline 98 with ethanol to be able to keep offering a product with no ethanol added. While this might lead to the conclusion that gasoline 98 will not become more expensive, Vaht does not think so. “The client might think that gasoline 95 becoming more expensive might end up costing the same as gasoline 98 or even more, but I think the price difference will remain and perhaps even grow. If today, gasoline 98 is 5 cents more expensive, the difference might be 6-7 cents in the future,” Vaht said. The reason for this is that a similar price would simply see people switch to gasoline 98 and countries miss their CO2 targets. “That would cause the state to reevaluate leaving gasoline 98 free of additives, with adding bioadditives to gasoline 95 and hiking the price of gasoline 98 the only alternative,” the CEO said. Fuel sellers will be obligated to designate gasoline with a higher than 5 percent ethanol content as E10. From May 1, all fuel pumps must display information on the bioadditive content of fuels. Vaht said that fuel marked E10 will arrive in gas stations before that. “I expect markings will be changed half way into April,” he said. Gasoline 95 will be marked E10, diesel B7 and gasoline 98 E5. “It is important to remember that gasoline 98 will not have a mandatory biofuel content, but because European markings make it impossible to designate it as E0, the E5 marking will be used. Sellers are under no obligation to add biocomponent to gasoline 98 and will likely refrain from doing so,” Vaht said. The new biocomponent content markings will be added to existing names of fuels. E10 fuel is suitable for all new cars but might cause problems in the engines of older cars owners of which are encouraged to switch to gasoline 98 that contains no ethanol. “If the fuel systems of older cars have rubber details, they will be damaged by the ethanol in the fuel and eventually break down. New cars are built to withstand the effects of ethanol,” Vaht explained.